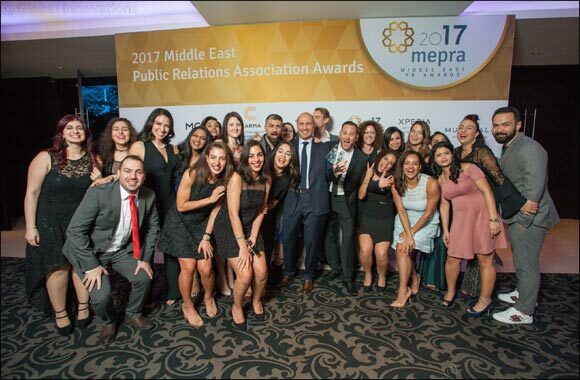 Dubai, United Arab Emirates, 24 June, 2018 – The Middle East Public Relations Association (MEPRA) today issued a call for entries for the 2018 MEPRA Awards, the communications industry's most prestigious event, which celebrates and recognises the most creative and impactful practitioners in the Middle East. This year marks the 10th edition of the ceremony, which is open to all Middle East based agencies, corporates, government organisations and non-profits working in the communications profession. Winners will be announced during a gala event in Dubai on Wednesday 21 November 2018. For the first time, the MEPRA Awards will be preluded by a series of industry events, including a creative communications congress, PR measurement summit and training workshops. The three-day festival will provide practitioners from across the region the chance to learn, share knowledge and celebrate the best through one event in Dubai. “The MEPRA Awards not only recognises the brightest, boldest and bravest of our industry, it also sets benchmarks for excellence across all areas of communications. It provides the chance for all practitioners in the region to drive the industry forward for the Middle East. The deadline for awards submissions is Sunday 30 September 2018, with finalists to be announced by 31 October 2018. Entries will be assessed by a panel of more than 40 local and international industry experts, with an independent adjudicator set to review the judging process.